The Fastest and Easiest Removal Solutions for Professional Contractors since 1990. We sell the complete line of SMITH Manufacturing Products including Cutters, Removers, Erasers, vacuums, Grinders, Drivers and More. 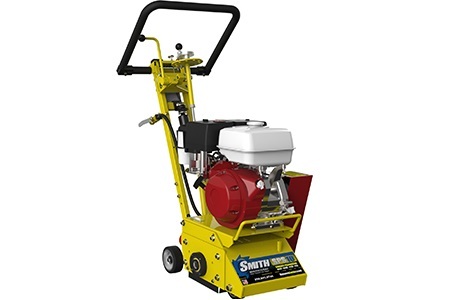 The SMITH SPS10™ is the world's most reliable gas or electric powered surface preparator on the market. 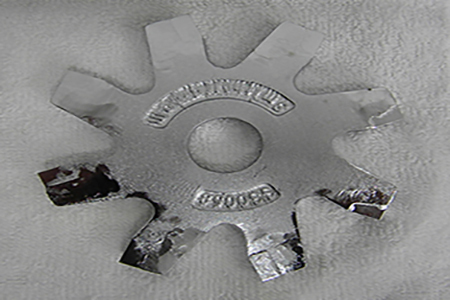 Made in the USA by SMITH Manufacturing, the leading manufacturer of cutters and removal equipment, the SPS10™ is #1 choice for the professional looking to remove-it faster with better surface finishes. Users say the SPS10™ outperforms any other competitive model and can outlast even the toughest operators. 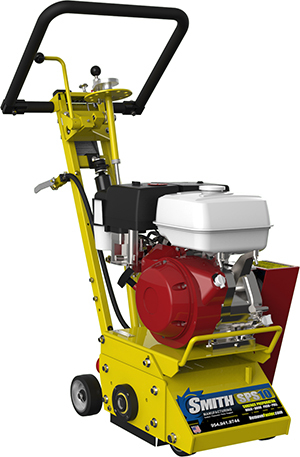 The SPS10 is available with the most cutter tools and accessories to tackle every type of surface preparation and removal job on asphalt, concrete, steel or wood surfaces. If you are looking to rely on one tool, that's the easiest to use, maintain and operate then get the SMITH SPS10™. Now available in Deluxe models with upgradeable cutter change-outs, wider removal paths and ease of cut controls. Height-adjustable mulit-positionalergonomic comfort grip handlebar. All-steel unitized heavy-duty construction, reinforced at stresspoints c/w industrial powder coat. Forward, reverse and side-to-side operation with and without optional Sulky Driver and hitch connection. Dual 2" OD vacuum dust-collection ports. 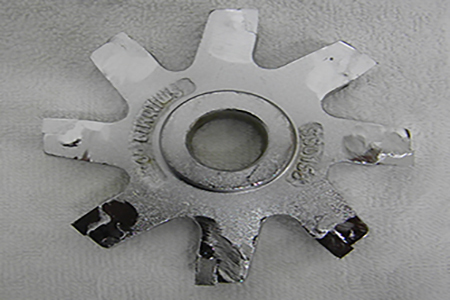 Removal side plate for side-loading drum with twin maintenance-free drive bearings and brush and chip guard. Twin in-line front with twin in-line front wheels with optional feathering caster wheel and pitch-control wheel extensions. Heavy-duty wide HTD drive belt with safety belt guard tensioned without moving motor. Operator dashboard for speed controls, safety shutoff, disengage cam c/w deluxe 10-setting exclusive micro-depth knob. Electric, Gas, and Propane power options. Heavy-duty bushed carbide and diamond cutter drums. Exclusive NO-Hard-Drop cradle shock engagement. Walk or ride operator control dashboard withoptional tach/hour meter. Optional water tank with wet controls. For fast cutting and long life, use SMITH brand cutters on your crack routing, joing cleaning, plunge-cut removal or grooving machines.